Off to Neverland? Well, usually not without a very long and arduous wait. Peter Pan’s Flight, one of the Magic Kingdom’s original nostalgic attractions, is still very popular. The queue is usually around 45 minutes and it is not uncommon to wait 60, or even 90 minutes during peak season. It seems folks, including myself, never grow tired of flying out of Wendy’s room off to Neverland in an enchanted pirate ship. We don’t get bored of looking down upon London as we circle around Big Ben and see the cars hustling and bustling below. 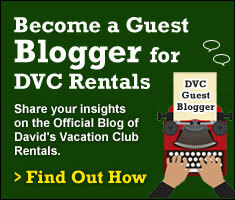 Disney is quite astute when it comes to guest satisfaction. They know people do not enjoy waiting in a boring line. They also know that people don’t mind a moderate wait, if that wait is entertaining and part of the attraction. Such as been done with other attractions old and new (Winnie the Pooh, The Haunted Mansion, Seven Dwarfs Mine Train), Peter Pan’s Flight has received the white glove queue upgrade. 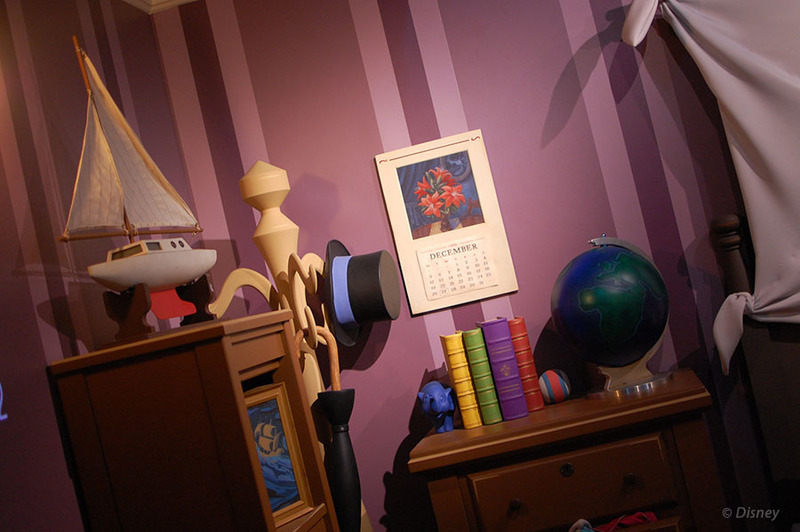 If you recall, to the very right of Peter Pan’s Flight was a restroom location. Then, across the way, the old Skyway remnants were removed to make way for a Tangled themed restroom area, allowing them to rework the Peter Pan’s Flight line and bring most of it indoors. A few weeks back, I toured the new queue which is about 70% indoors and 30% out (depending upon line length). 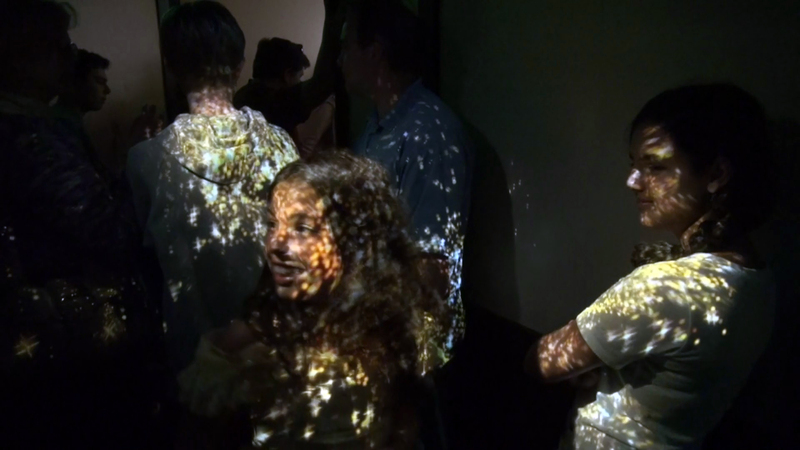 None of the interactive elements were working but it was still beautiful and welcome. Finally, we felt air conditioning for the first time in line for Peter Pan’s Flight as the former queue was all outdoors. We walked through murals depicting scenes from the movie Peter Pan and entered the children’s nursery. It was hard to tell what the “interactive plan” was at that time. Now, a few weeks after that – it all comes together and to life in what I consider to be the best queue of all time. I expect a lot from Disney. It is hard for them to always live up to my high expectations. I am happy to report that they have. This queue is classic Disney. As we enter the children’s nursery, it is darker now than on my first visit when the effects were not active. 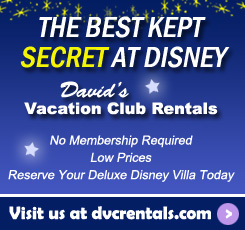 We can hear Tinkerbell’s classic jingles in different parts of the room. As we get closer to one of the kids’ bedrooms, Tinkerbell is flying around in an almost 3D like way and interacting with objects. She makes a model boat teeter back and forth. 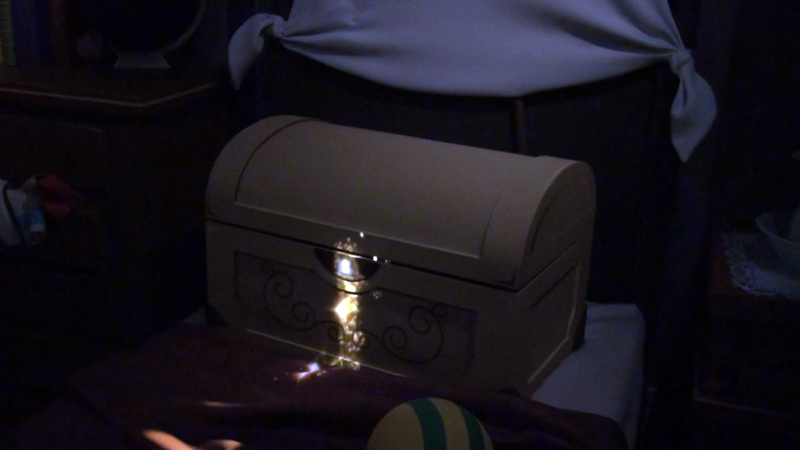 She spins a globe and she enters a toy box treasure chest. You can see and hear her inside the keyhole and watch the lid bump up and down. The illusion of Tinkerbell actually being there is pulled off with great believability. In another area, there is a large wall. 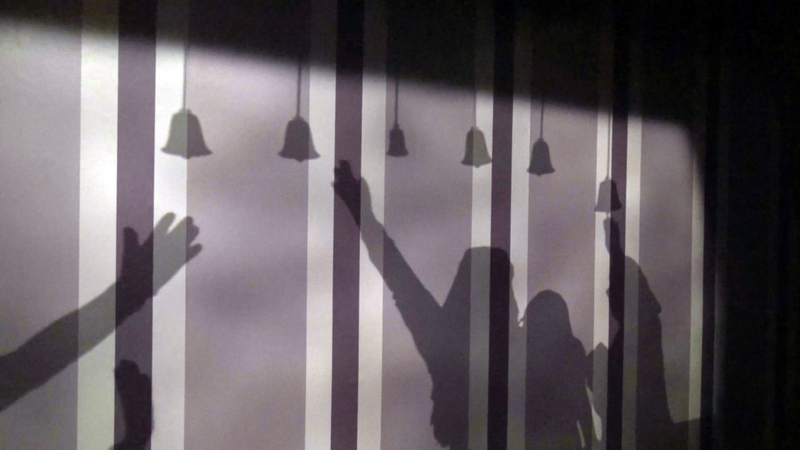 As people pass within the queue, their shadows are cast onto the wall. Other shadows, of objects not visible to the eye, appear. Bells appear above guest’s heads and if you use your shadow correctly, you can ring them. Shadow butterflies emerge and they just might land on your hand shadow. 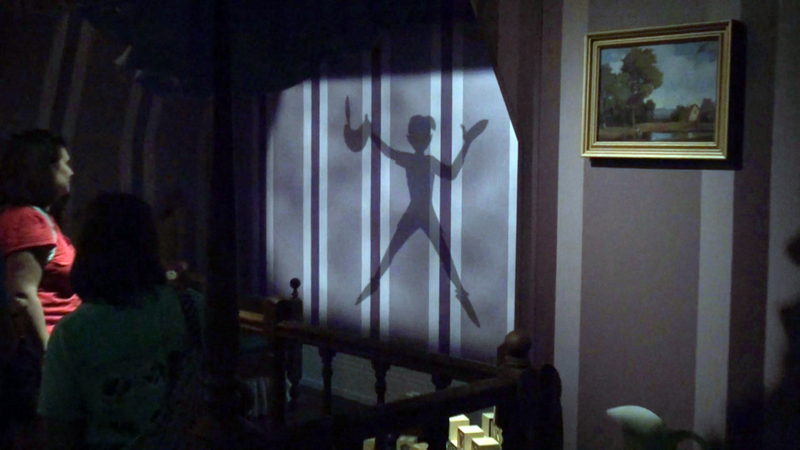 At other times, guest’s shadows disappear altogether and Peter Pan’s Shadow steals the show. 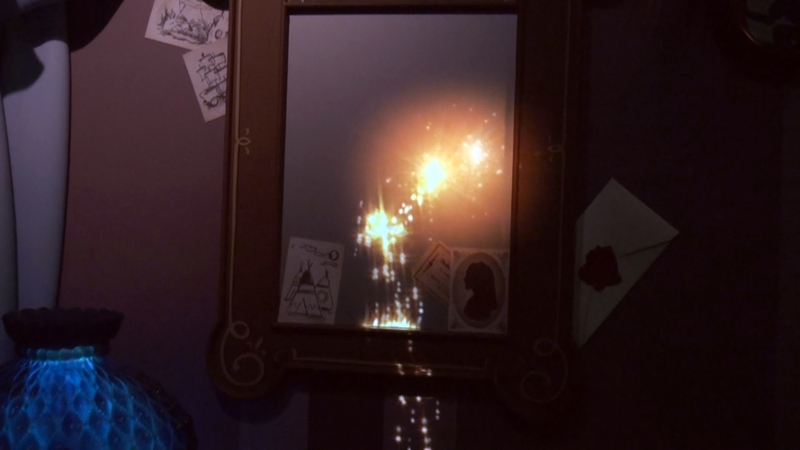 In another bedroom, Tinkerbell flies right onto a wall mirror and you can see her reflection. She accidentally hits a frame on the wall and then fixes it up again. 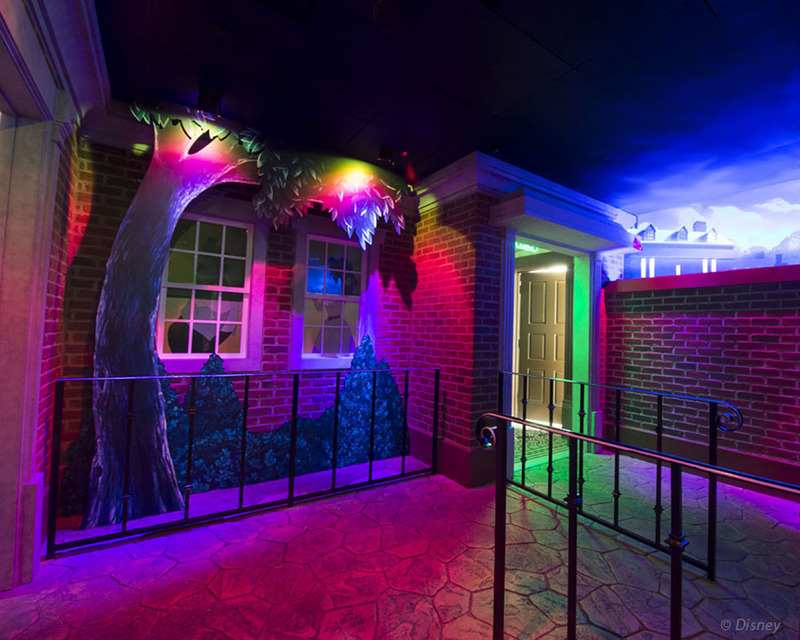 In the final room, before the stretch to board your ship, Tinkerbell bathes guests in Pixie Dust. I see many people clapping, which seems to usher in a pixie dust sprinkling. I tried to confirm whether the clapping was really doing anything or if it would happen anyway. More research needs to be conducted before I can make a final assessment on that! All in all, this is a most welcome addition to a classic attraction. More than a few times now, I have now heard a guest exclaim, “The queue is now better than the ride!” Is Disney using the latest technology to impress queue guests, to the extent that the actual attraction does not live up to expectations? Will the attraction itself get a makeover one day, with some of the new magic? 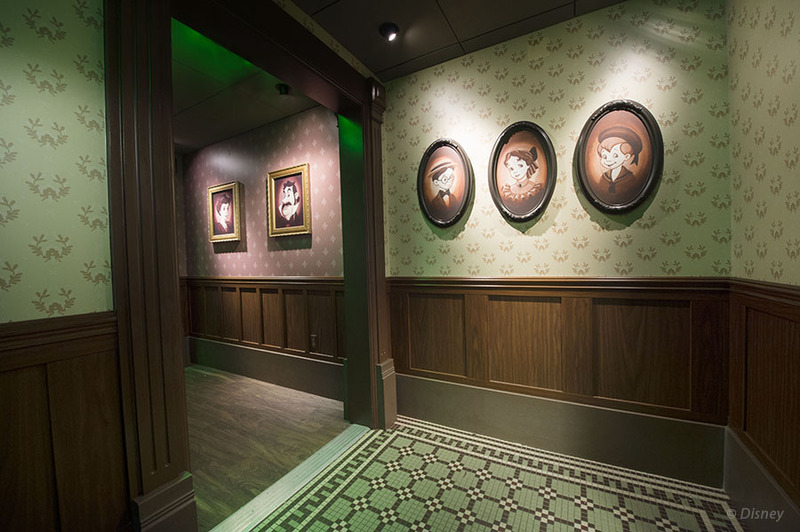 One thought on "Pixie Dusted – New Peter Pan’s Flight Queue Comes to Life in Magic Kingdom"